This read-aloud book was a delight to write. 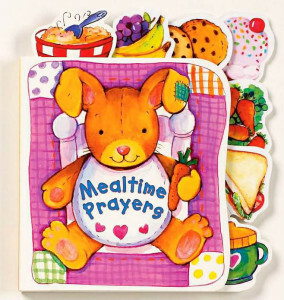 Select from any of the fourteen pages of good thoughts and childlike prayers to be read before meals and snacks shared throughout the day. Fun tabs and colorful illustrations by Jennifer Fitchwell add to the charm and comforting words of this board book. How exciting to see that it has been released in both English and Spanish!